Did you know….many vehicle remote key fobs can be programmed with a simple manual procedure that does not require any specialist knowledge or equipment. This article explains how you can program a remote fob for a Ford car – in less than 30 seconds! Parts 1 and 2 require specialist locksmith tools to cut and program the key. Part 3 (locking fob) however, can be replaced and programmed by you! And thats it, job done!!! If you only have a manual key for your car and would like a remote fob then give us a call. The Auto Locksmith is able to provide stand alone remotes that do the need to be built into a key. 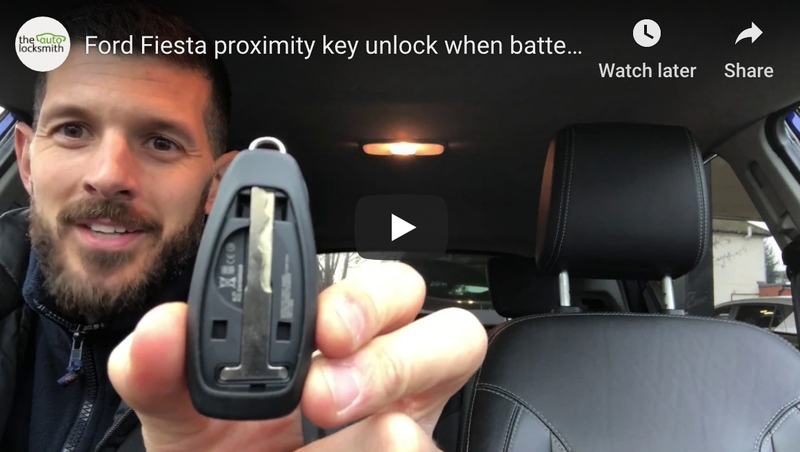 This allows you to add a remote fob for considerably less than the cost of purchasing a full remote key from a Ford dealer. For more info on Ford keys take a look at our Ford car key section of the website. Thanks for tip… Worked but stopped the programmed key working remotely, then vice versa…. Was I doing something wrong?